This episode is a conversation with Malian hip hop artist and activist Amkoullel L’enfant Peulh on hip hop and politics in Mali. Amkoullel has been involved in hip hop culture in Mali for many years, and he’s been vocal about politics inside and outside of the country. Having lived in France and the United States, Amkoullel is back in Mali where he remains involved in the hip hop community. He is also involved in mentoring artists and working in TV and radio production and distribution in Mali. A strong voice in Malian hip hop, in this conversation we discuss the political nature of Francophone rap in West Africa, specifically in Mali, Senegal, and Burkina Faso. 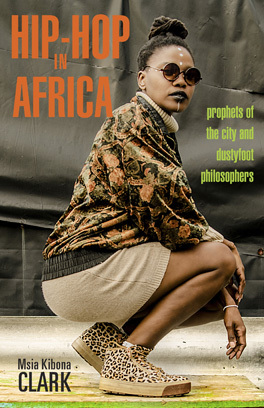 Amkoullel traces how hip hop artists in Mali developed their own lyrical identity, based in large part on their own oral traditions and cultural identities. In discussing the past and current political events in Mali, Amkoullel talks about the roles of artists in social change and the importance of artists representing the voice of the people when they use their platform on the international stage. Amkoullel also discusses the impacts of the media’s misconceptions of Mali within the country, as well as the impact of political events in Mali on Malian hip hop. We begin the episode with one of Amkoullel’s early songs, “Farafina”, which was released in 2010. The next song is “Maliko”, which was recorded by several Malian musicians, including Amkoullel. The song is a call for peace and an end to violence against women.